Congressman Sam Farr (born July 4, 1941) represented California’s Central Coast in the U.S. House of Representatives for 23 years until his retirement from office in 2016. Farr began his public service career in 1964 as a Peace Corps Volunteer in Colombia. After returning from Colombia, Farr served six years as a member of the Monterey County Board of Supervisors and twelve years in the California State Assembly. Farr was elected to Congress as a Democrat in 1993. During his career in public service, which spanned nearly five decades, Farr was a leading advocate for California agriculture, a champion of the oceans, and the author of legislation to establish Pinnacles National Park. 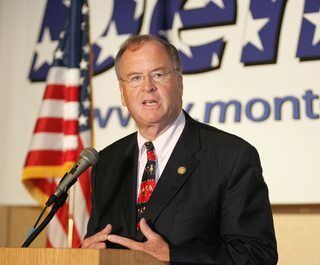 Farr also served on several committees and caucuses, including the House Appropriations Committee, the Appropriations Subcommittee on Agriculture, Rural Development and Food and Drug Administration,the House Oceans Caucus, the Congressional Travel and Tourism Caucus, and the Congressional Organic Caucus. In addition, Farr played a major role in securing millions of dollars of funding and nearly 14,000 acres of the former Fort Ord in order to develop a university on the former Army base, which would eventually become California State University, Monterey Bay.